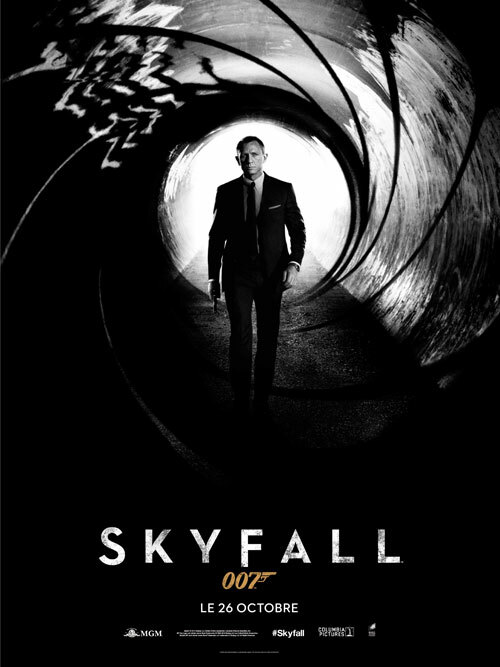 ORIGINAL FRENCH ROLLED ADVANCE POSTER, 47" X 63", FOR THE 2012 JAMES BOND THRILLER. THE FILM STARS DANIEL CRAIG, RALPH FIENNES, HELEN MCCRORY, JAVIER BARDEM, JUDI DENCH AND ALBERT FINNEY. THE DIRECTOR IS SAM MENDES.